Crabbing season is when the crabs are most abundant and meatiest. And although you can catch crabs all year round, this is when you would want to catch them to maximize your catch. As a generality, crabs are more dormant and less likely to be caught during colder climate. Crabs are more inactive in waters that are about 50 to 55 degrees Fahrenheit. They tend to hide in the mud as opposed to swimming around, actively searching for food. Crabs thrive in warmer waters closer to 70-75 degrees. There is controversy on what time during the year is the best time to crab but the general consensus is late April to mid-May. However, you should always keep in mind the climate. If it’s still cold in mid-May for some odd reason, maybe there won’t be that many crabs frolicking around in the colder-than-normal waters. Mid-May is great for sheer number of crabs but there have been some opinions that suggest crabs are meatier later in the year during the fall months. Crabs only live for a few years (1-3) and to give an example, male blue crabs reach sexual maturity around 1-1.5 years. They spawn mostly during May-August time frame so if it takes 1-1.5 years to fully grow, September-ish would be a good time to catch them. Thus, fall would be an apt time to catch the meaty ones. Yes, you can crab year-round. And yes, there is a semi-best time to crab but what time during the day should you crab? Catch rate and success is also dependent on the tide. When the tide is moving, that is usually the best time to set traps to catch crabs. Check your local tide chart (good resource for check tides here). Crabbing 1-2 hours before high tide all the way through 1-2 hours after high tide the water will have good movement and this is when you have the best chance to catch the crabs. Beware for water currents though. This can move your traps or even make them stuck in the mud. 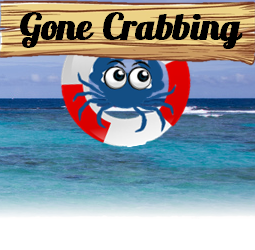 If you are crabbing in the ocean, there is no tide so you don’t have to worry about a time to catch them. Extra fact: Crabs are less abundant following heavy rainfalls in the bays. Being able to crab year-round can be a luxury, however, some areas only allow for a certain time span in which you get to catch and keep your crabs. Different states have different regulations regarding this. You may want to check with your local state shell fishing rules and regulations to make sure. For instance, Oregon has open season all year long but in Connecticut, you can legally crab from May to November. Hopefully, you don’t live in Connecticut :). Here are some websites you can visit to find specific states’ open seasons. Happy crabbing!